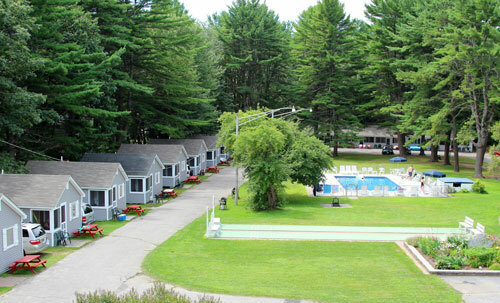 Vacationers to Old Orchard Beach have been enjoying the quiet, spacious 3-acre grounds at the Elmwood Motor Court now for over 50 years! Located just minutes from the 7-mile stretch of Old Orchard Beach complete with its famous Pier and New England’s last remaining seaside Amusement Park, Palace Playland. 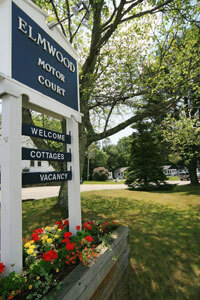 Guests at Elmwood Motor Court can select from Motel Apartment Units, One and Two Bedroom Cottages and even a Honeymoon Cottage! Our convenient location is also just minutes from Funtown/Splashtown USA with its huge amusement park, giant roller coaster and modern state of the art waterpark with all the latest amusements. Golfers will love testing their skills at one of ten nearby golf course with two 18-hole golf courses just 5-minutes from our door. Fishermen go crazy for the striper fishing on the Saco River and along the beach, reputed to be some of the best in the country. You owe it to your family to getaway to Maine’s #1 Vacation Destination… Old Orchard Beach Maine - Maine's #1 Family Beach Resort!